Samsung’s in-house Linux-based Tizen OS has just got extended to products other than smartphones. The company has launched the version 4.0 for the OS, and it now supports smart home and IoT devices. The other name for the new version’s compatibility with IoT devices is Tizen Real Time (RT). Samsung announced Tizen 4.0 OS at its Tizen Developers Conference (TDC) in San Francisco. Samsung already makes connected home devices such as Smart TVs and refrigerators, but with Tizen 4.0 OS, it is expanding its presence in the world of IoT further. The company says that the changes made in the v4.0 are for helping IoT developers so that they can “enable rapid creation and commercialization of various applications.” Tizen 4.0 would offer the development environment that can be tweaked according to different smart devices. The company is also planning to add .NET and Xamarin framework into Tizen 4.0 by partnering with Microsoft. Tizen is an open-source OS, which is touted by Samsung as being beneficial to other manufacturers too. Tizen’s IoT extension, dubbed as Tizen RT OS module can be used in high-end products like TVs and mobile devices and also standard level IoT devices like thermostats, scales, light bulbs, and more. To enhance the adoption of Tizen 4.0, Samsung would also be collaborating with chip makers. The company has partnered with ARTIK and Broadlink to develop Tizen’s RT-based chipsets. 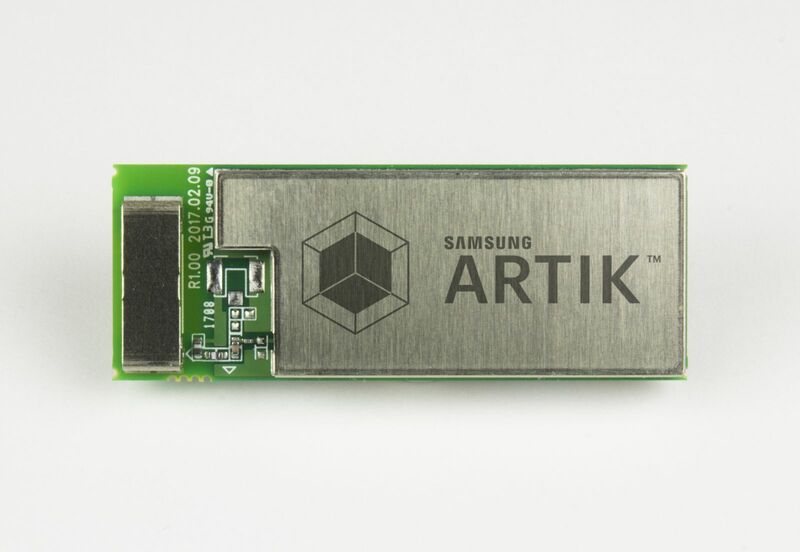 At the conference, Samsung showcased its first Tizen RT chipset called ARTIK 053. The chipset is claimed to be lightweight and affordable with combined real-time processing abilities for high-performance and security. It will be powering next-gen Tizen products such as home appliances, healthcare devices, and industrial automation. Samsung could also partner with location-based service provider Glympse and Korean smart home device maker Commax.